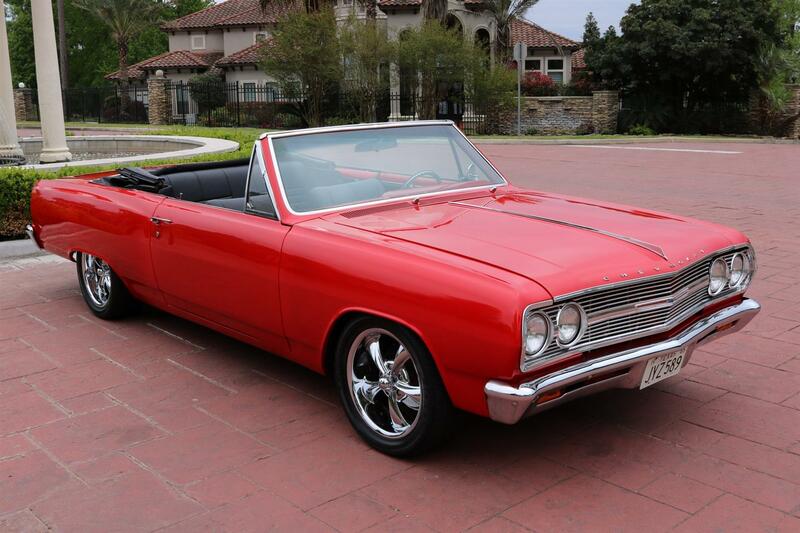 1965 Chevy Chevelle Convertible (Resto-Mod) – 5.7L LS Motor, 4L60E Auto, Classic A/C, Power Steering & Brakes, Bluetooth Stereo, Ridler Wheels! 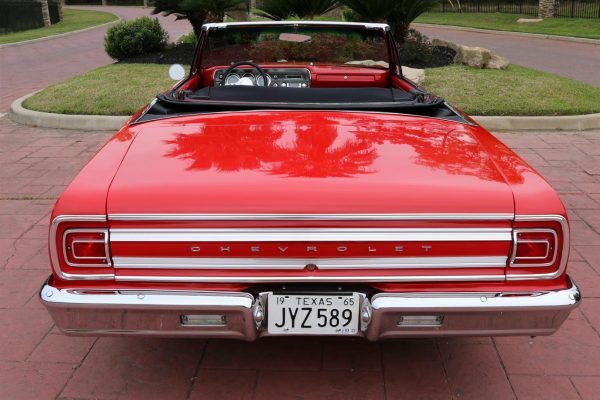 1965 Chevy Chevelle Convertible (Resto-Mod) – When you’re King of the Hill as GM was in the early 1960’s, and own 50% of the entire market (with 25% of the entire market being Chevrolet alone), you can afford to let the little guys “go first.” At least that’s how GM played their cards with the Malibu. 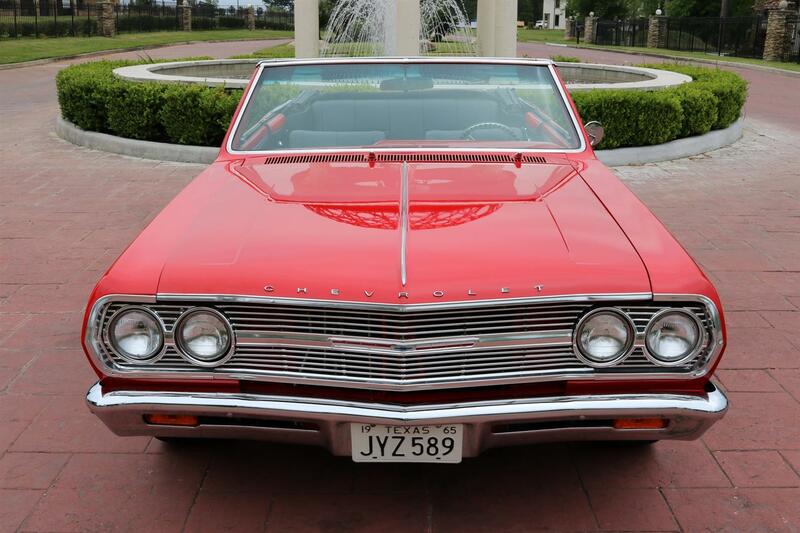 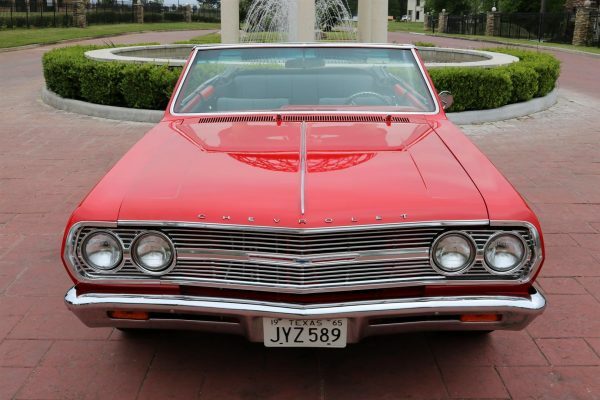 Ford introduced an entirely new category of car, the “intermediate”, in 1962 with their Fairlane, which seemed far more substantial than the ½-size–smaller, not-quite-intermediate “large compact” GM brethren from Pontiac, Oldsmobile and Buick which were introduced a year earlier. 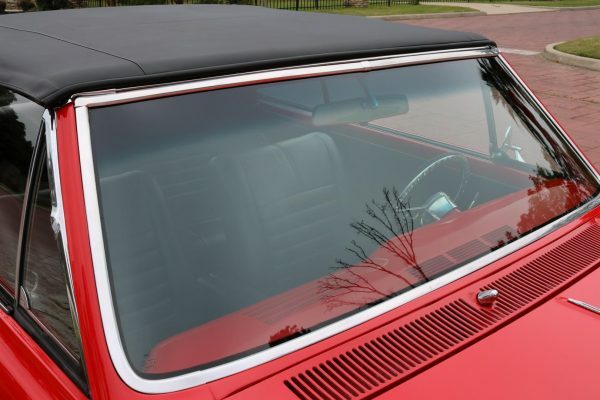 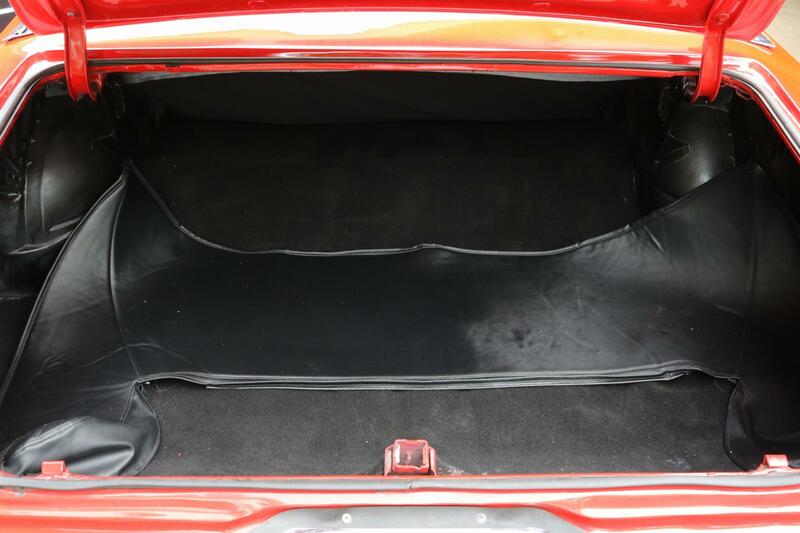 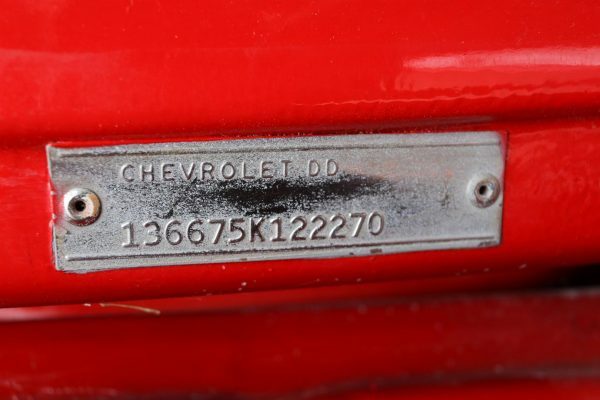 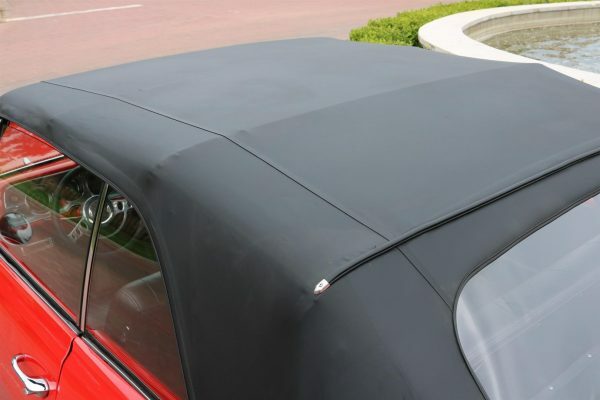 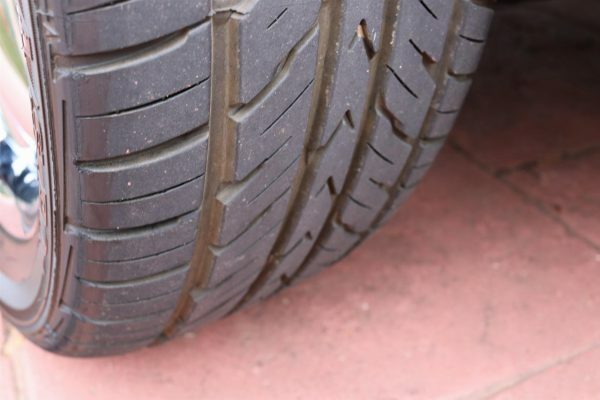 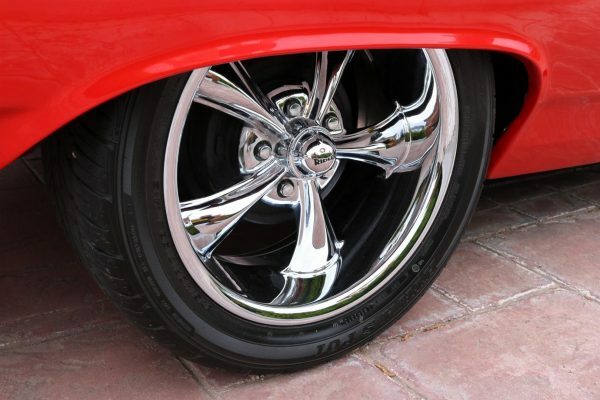 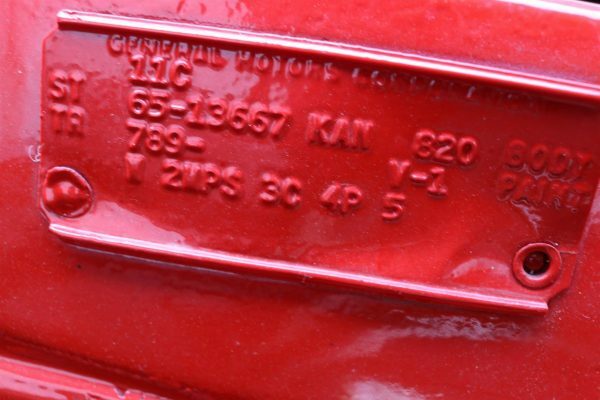 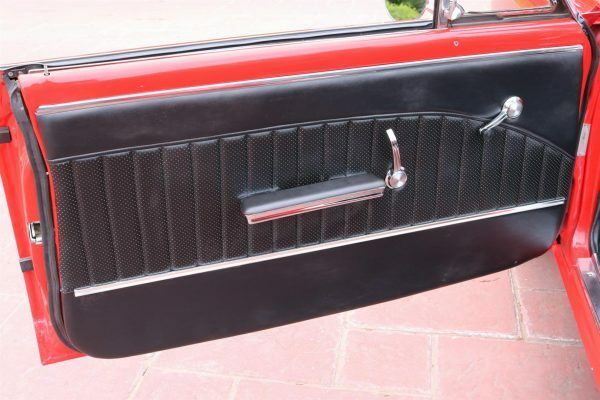 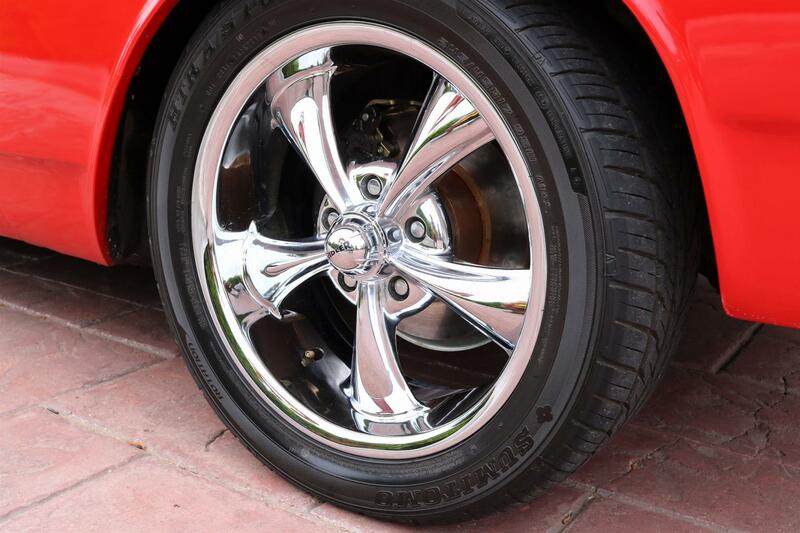 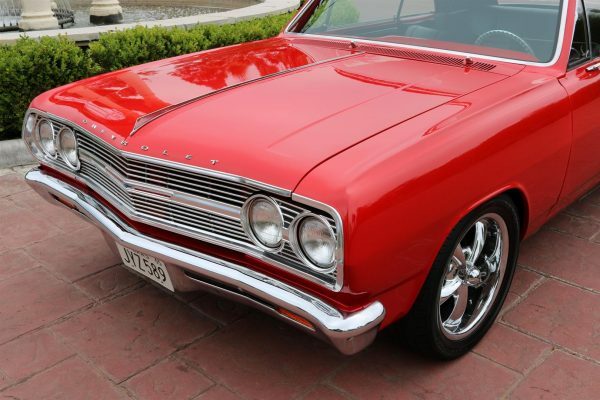 By 1964, these “BOPers” as they were called joined the all-new Chevrolet Chevelle and upscale version, Malibu, on a new perimeter frame and firmly ensconced themselves in the “intermediate” market. 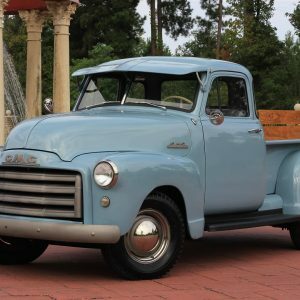 With Chevrolet being the major player in the GM stable, it only seemed fitting that these cars were given much publicity by the auto magazines of the day. 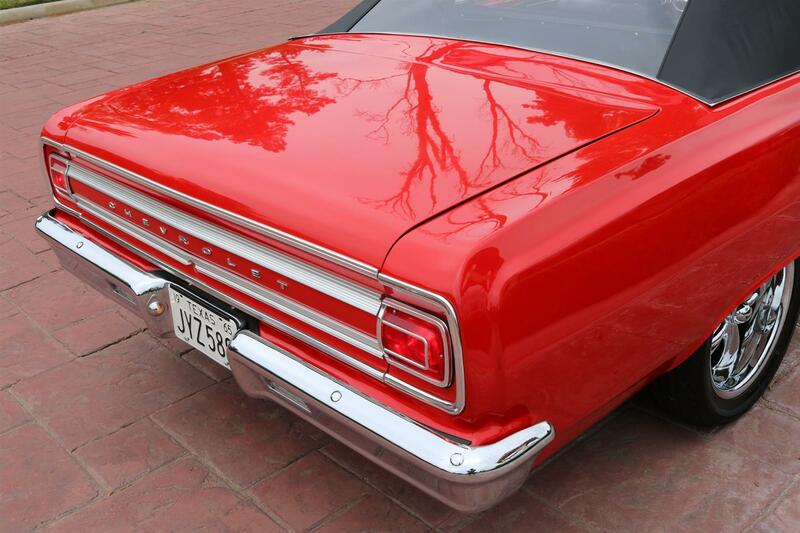 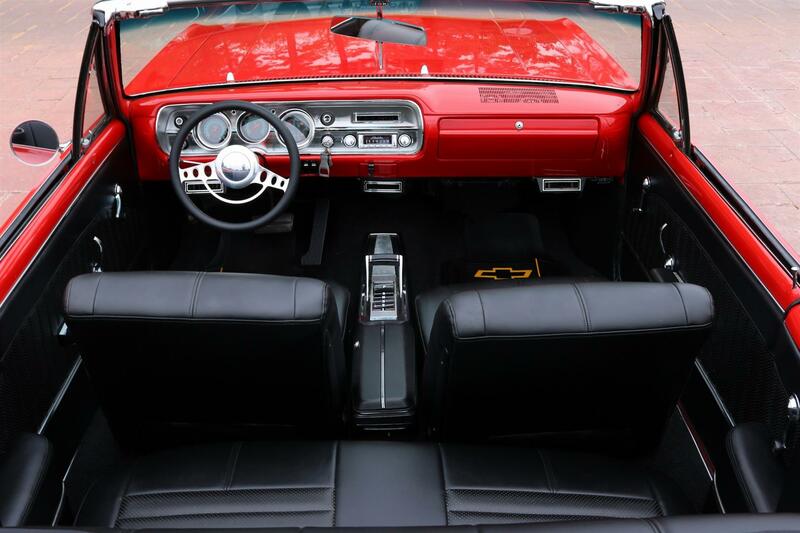 The basic engine was the 194 cubic inch six shared with the Nova, with a larger 230 six shared with the senior cars optional, and a 283 V-8 with up to 220hp for 1964. 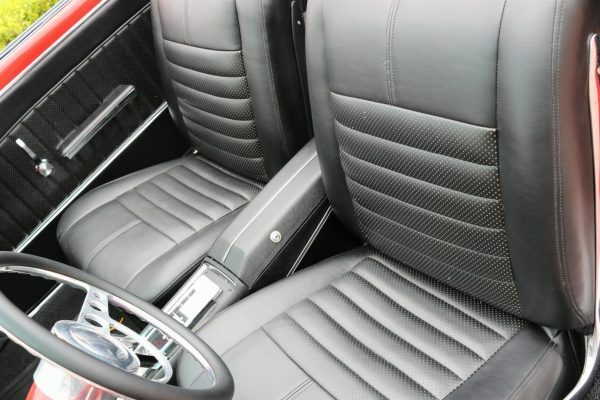 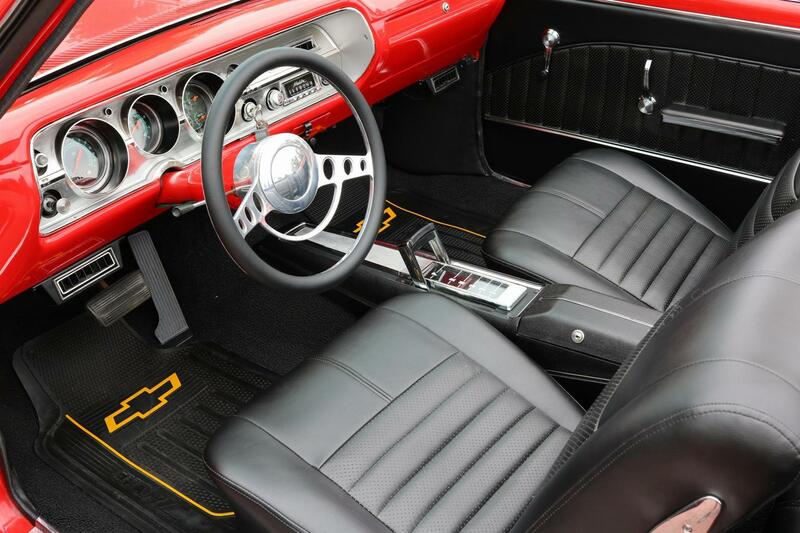 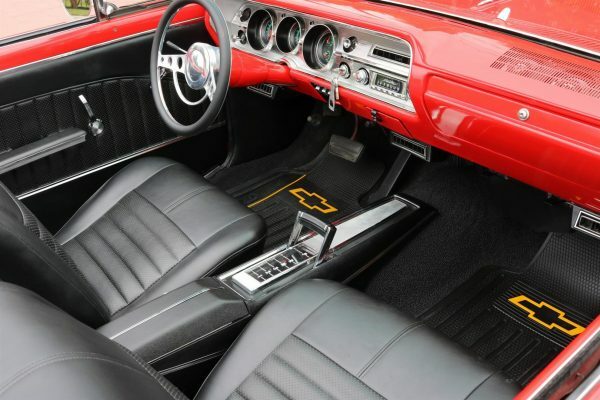 An SS option was immediately available, as was a new Chevrolet Division sourced four speed floor shift. 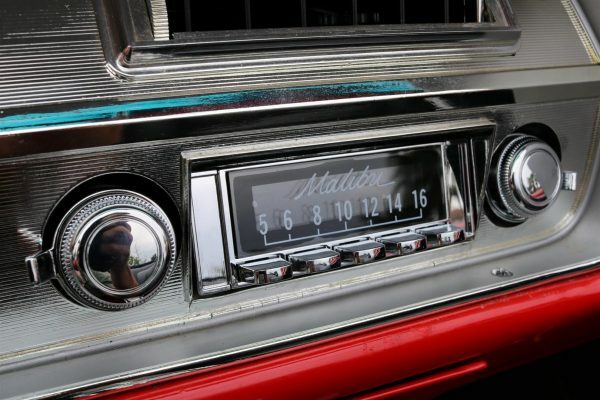 Initial descriptions of the Malibu did not include the 327 V-8 option which magically appeared before the end of 1964, boosting maximum power to 300 hp. 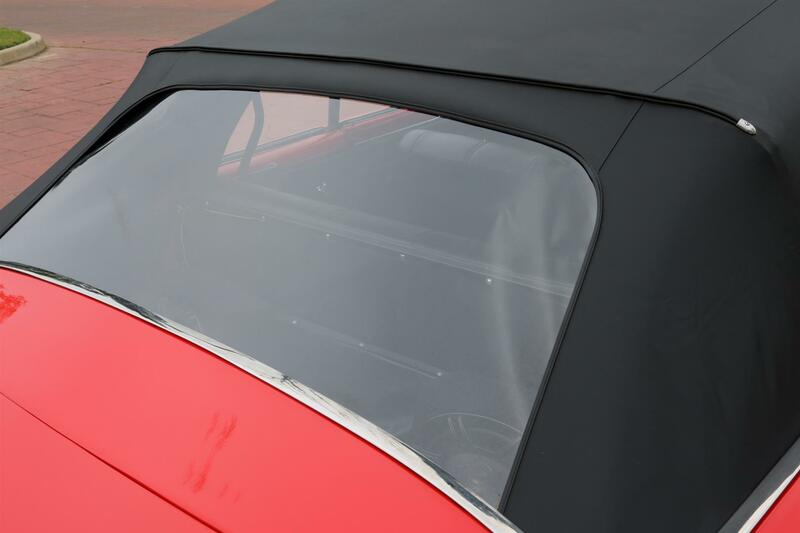 Curved side glass and crisp styling combined with sparkling small block V-8 performance helped give these cars a nice send-off, and given the fact that compact sales had started to wane during 1963, these cars proved to be perfectly timed to capture the mood of America, which was once again moving towards somewhat larger, sportier and more powerful cars. 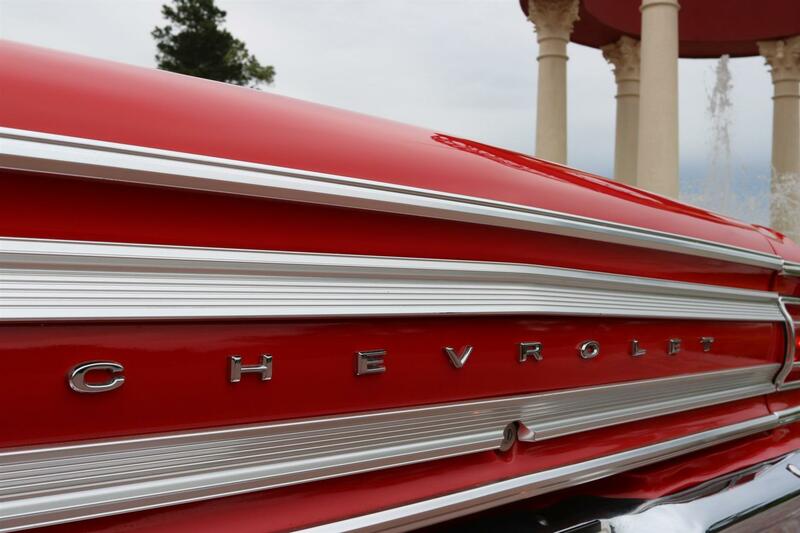 These cars were masterfully done. 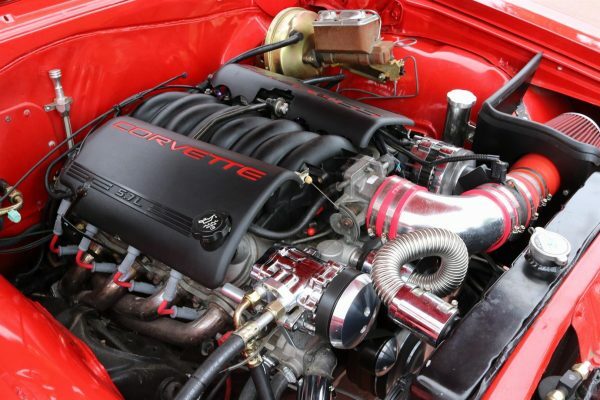 By mid-year 1965, a 396 cubic inch 375-hp big-block was optional, a good 18 months after GM brethren Pontiac introduced their powerful GTO, and the race was on. 1966 saw a reskin, for a then fashionable Coke bottle look, with “flying buttress” rear roof styling on 2 door sports coupes. 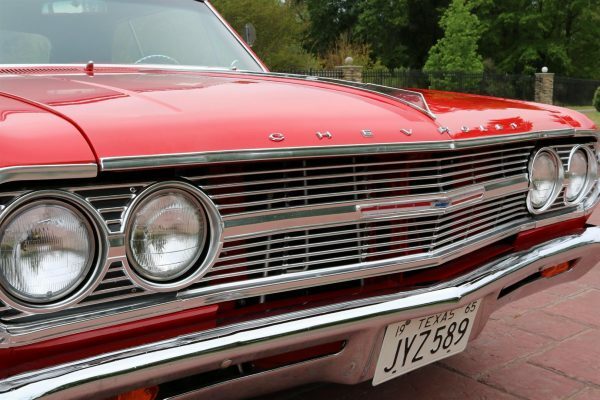 The history of the Chevrolet Chevelle is great but who would have thoughts that 54 years down the road it would still be one of the hottest cars on the highway. Who would have also thought that the most desirable classics today would be the models, like this example, which have been outfitted with modern drivetrains. 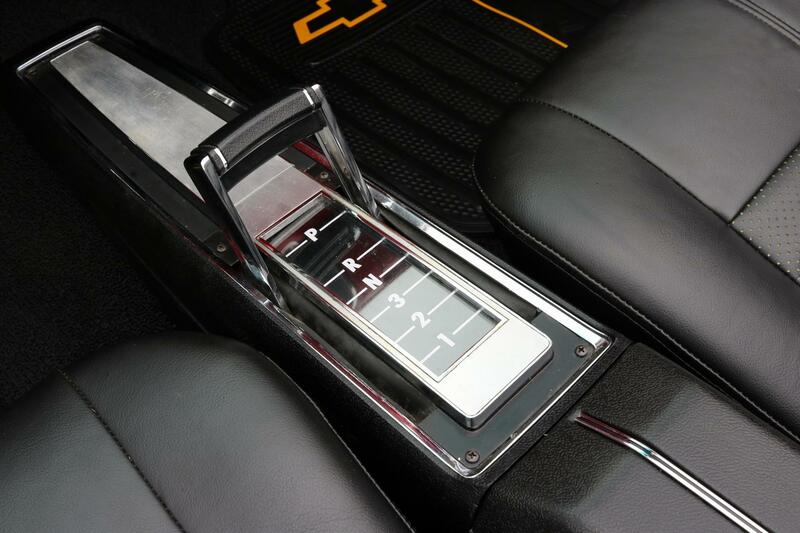 But, it really isn’t too hard to fathom. 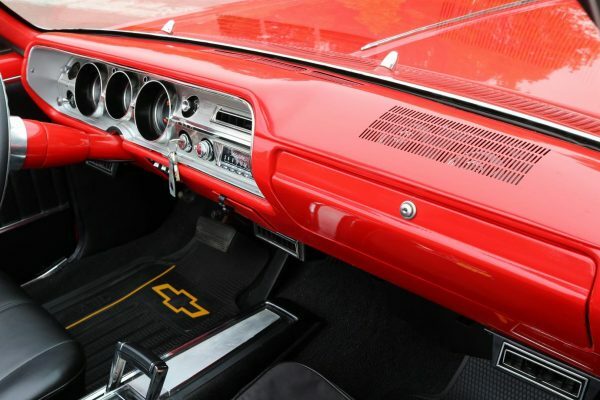 After all, how can you beat the unique looks of a 60’s muscle car paired with the reliability and performance of a late-model sports car. 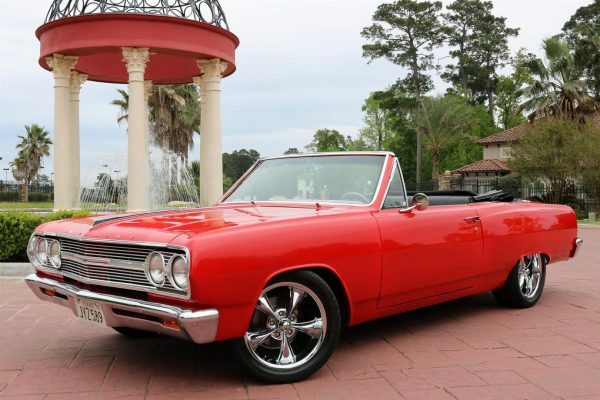 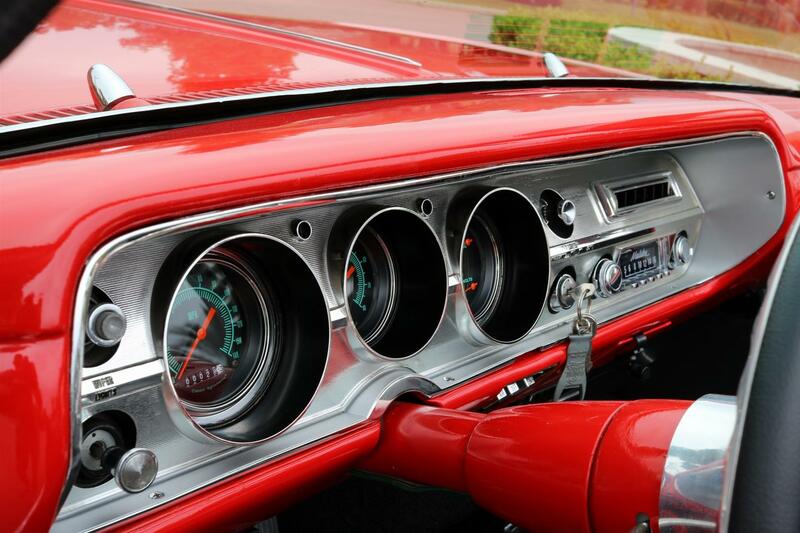 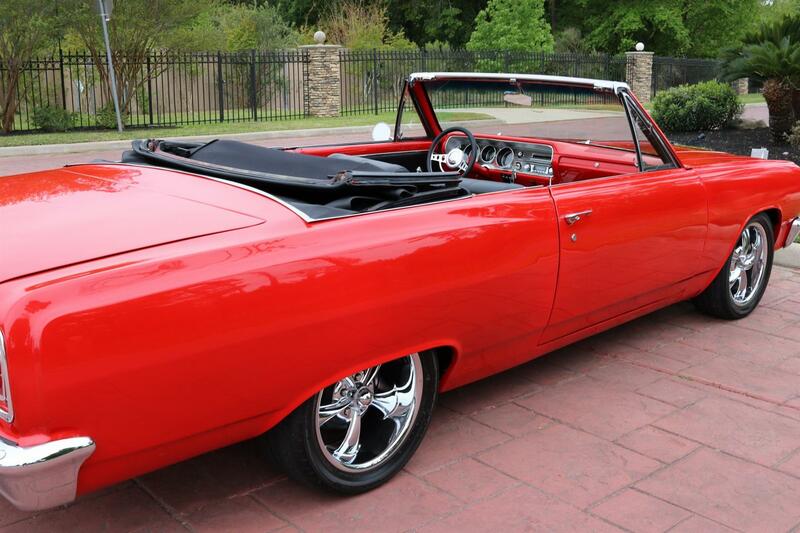 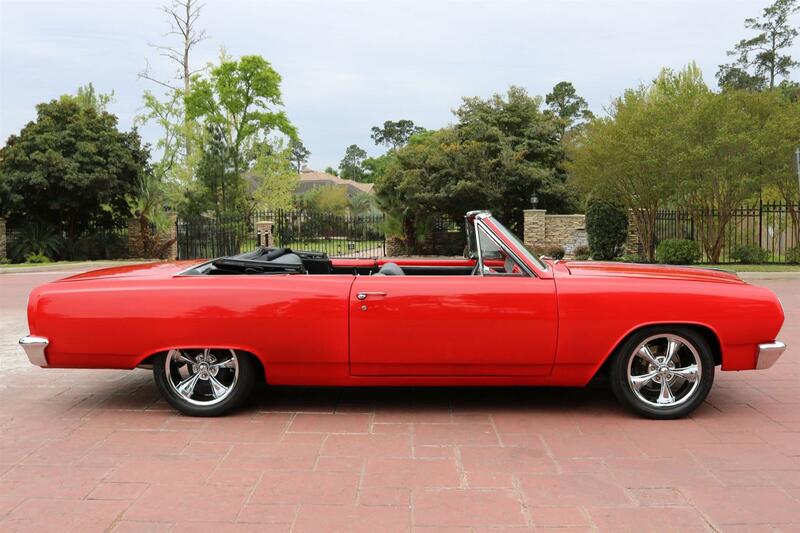 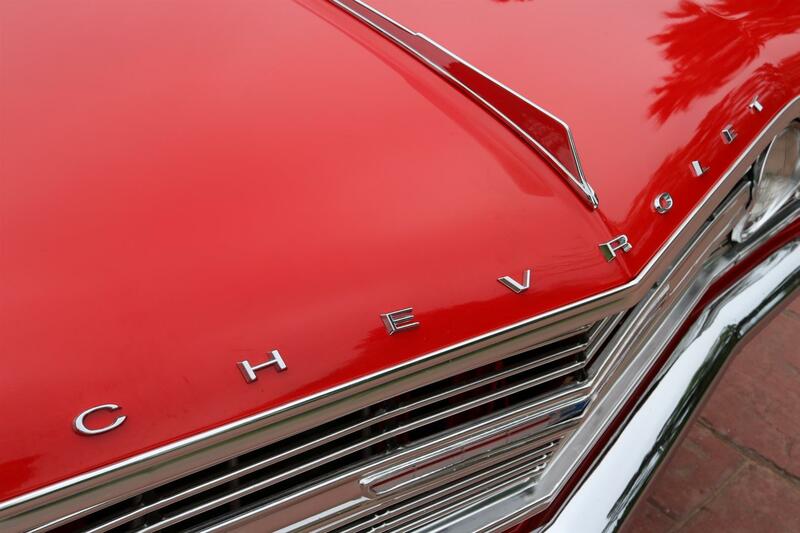 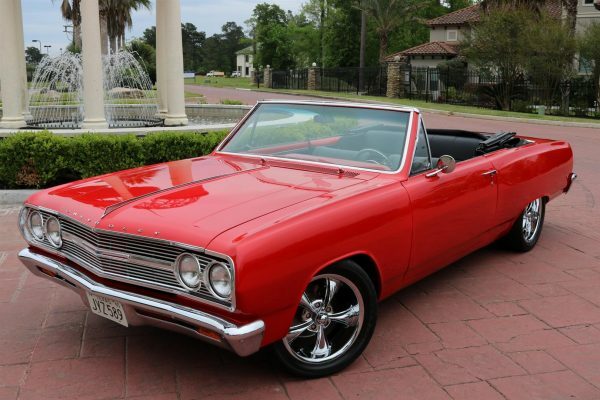 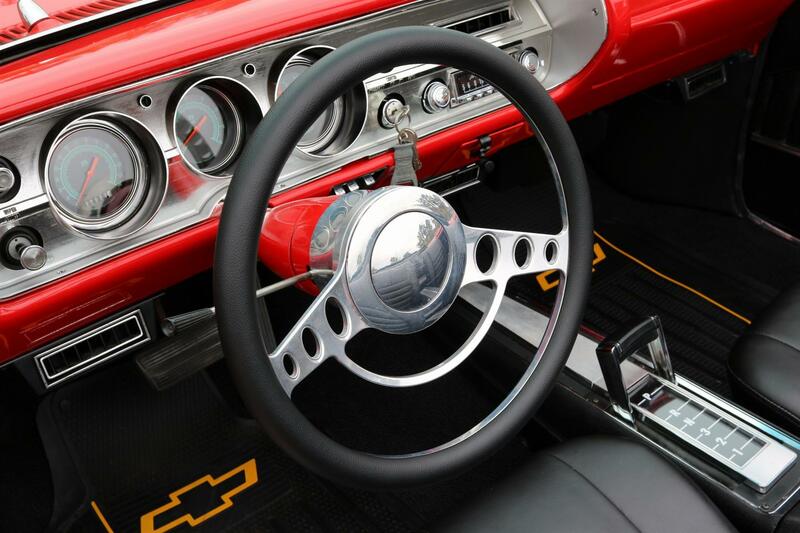 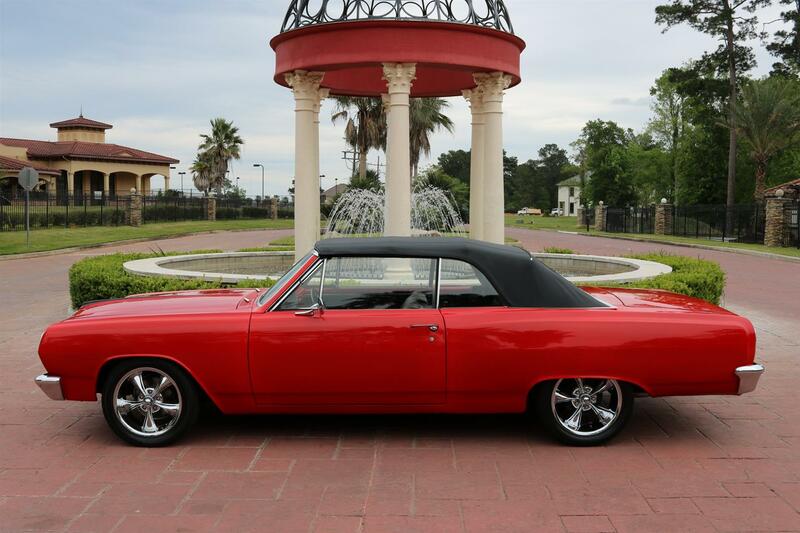 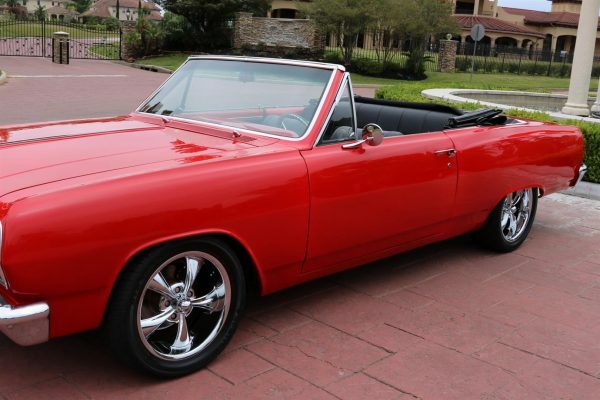 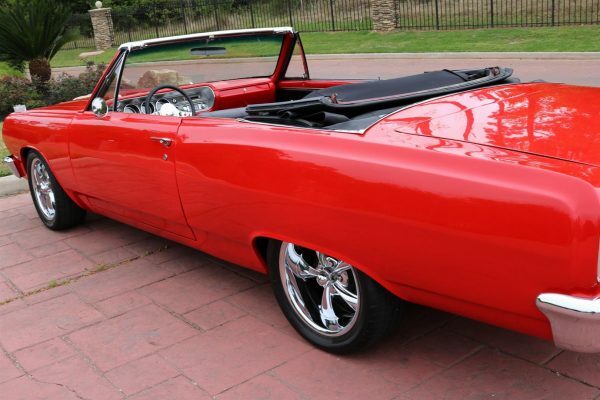 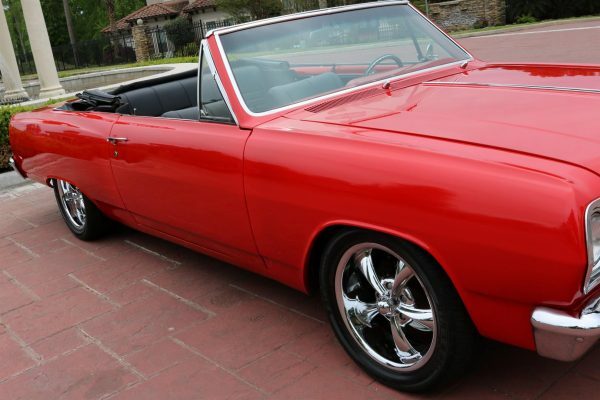 This beautiful Viper Red Chevelle is one such vehicle that is the perfect mix of both new and old. 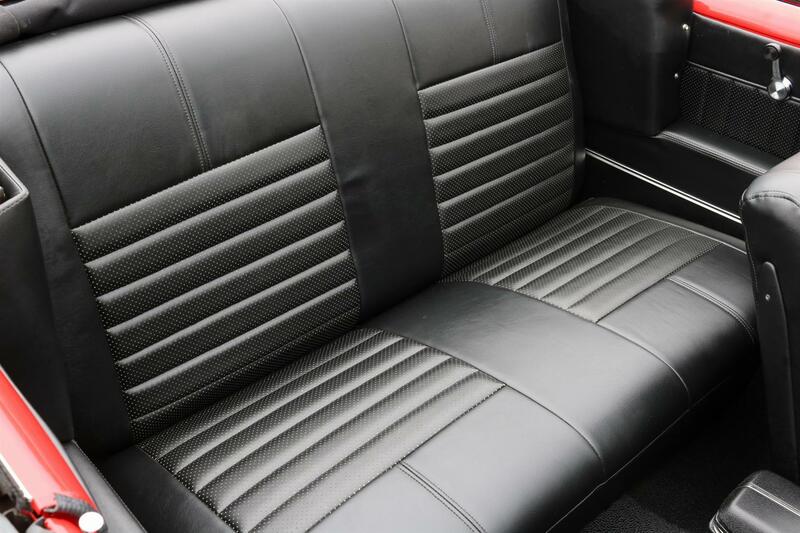 The majority of the restoration was completed in 2016 but as part a large car collection, the most recent owner just buttoned-up the last few items earlier this year. 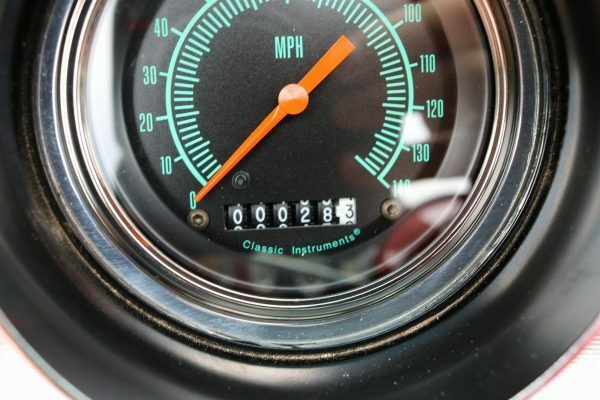 In fact, the Chevelle has seen just under 100 miles of asphalt since completion. 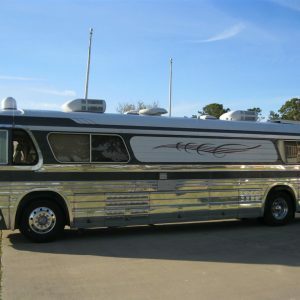 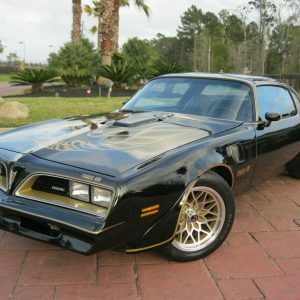 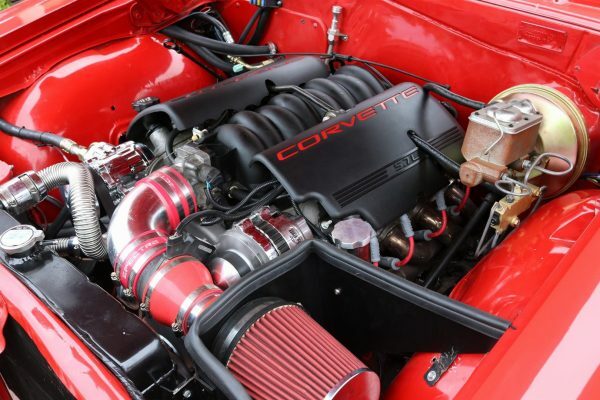 A complete list of features and options includes; 5.7L V8 (LS1 – from a ’02 Vette), 4L60E Automatic, RWD, Power Steering, Power Brakes (front discs), ECP Radiator, Optima Red Top Battery, Classic A/C, Center Console Storage, Chrome Grill, Chrome Bumpers/Mirrors, Rubber Floormats, Black Convertible Boot, Retro AM/FM/Bluetooth/Aux Stereo, 17″ Ridler Chrome Torque Thrust Wheels, and Thick Sumitomo Tires! You definitely couldn’t build one this nice for less than our asking price. And why spend months writing checks to a restoration shop when you could be driving the end result tomorrow?